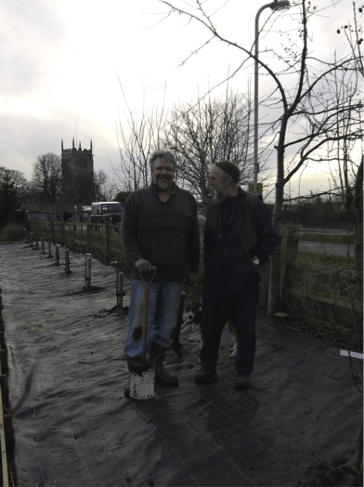 Syston used to be full of orchards. A 1903 map shows orchards along Upper Church Street between High Street and the allotments, and it’s believed that there used to be an orchard exactly where the allotments are now. 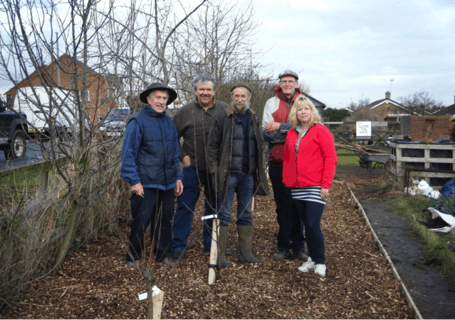 In January, after months of preparation, the allotment society community plot was transformed into a new orchard, named after the old name for the allotment site – Knoll Allotments. 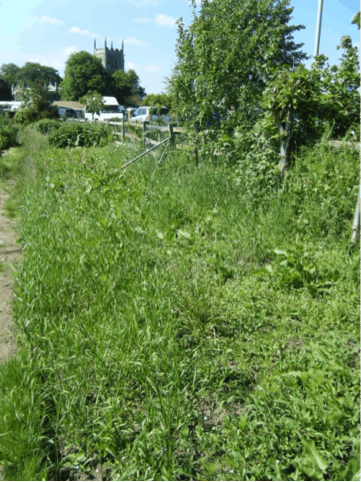 The committee had applied for a grant of £700 from the South Charnwood Area Forum budget to pay for the trees, ground cover and fixings. After making two presentations at the decision night in June last year along with a number of other local projects, we just missed out on being considered for a share of the money. Fortunately a local benefactor was keen to see the project go ahead, and he generously offered us the money, as long as he could remain anonymous. Gamble and Hollis butchers also donated £30 to pay for one of the trees. Plum: Victoria and two black mulberries. All domestic apple varieties are thought to be descended from the Ashmead’s Kernel, which dates back to the 18th century. It is a russet type apple with an almost acid drop pear flavour. Some of the other fruit varieties are even older. The Romans introduced damsons to Britain and the first written record of the Shropshire Prune goes back to the late 16th century.